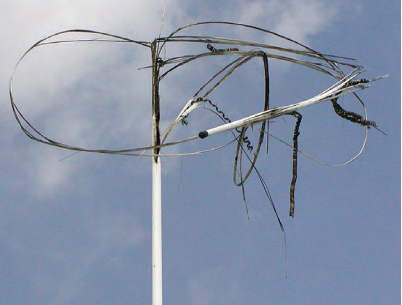 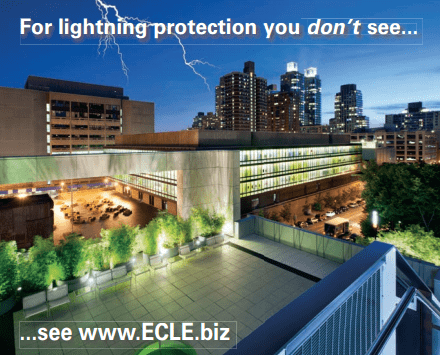 On green roofs, strike protection devices provide an alternative to conventional lightning rods. 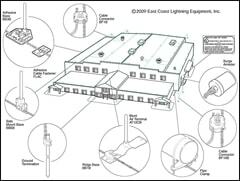 Reroofing often requires repair and extension of other building components, including the lightning protection system. 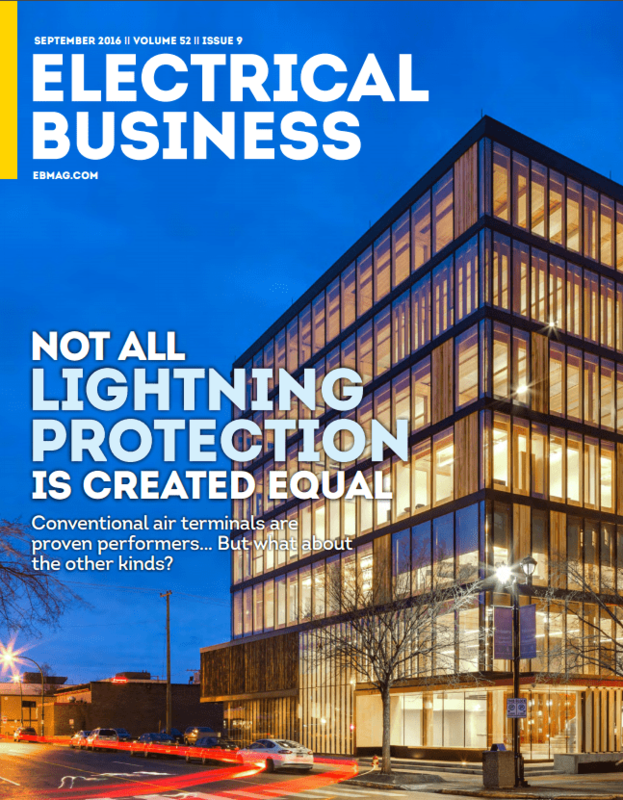 “…alternative products do not provide the advantages claimed.” Learn the facts about early streamer emission and charge transfer devices. 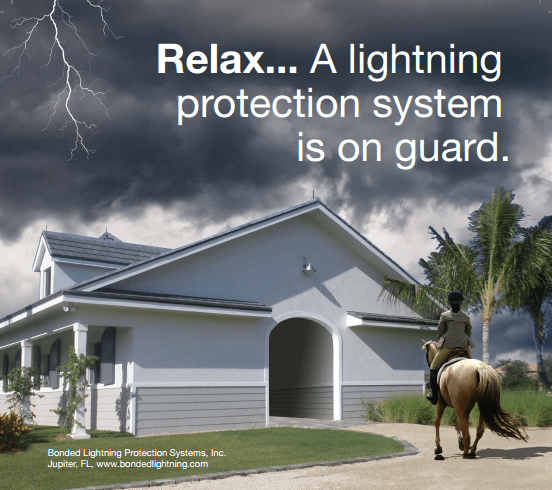 Steel structural members can be used as part of a lightning protection system. 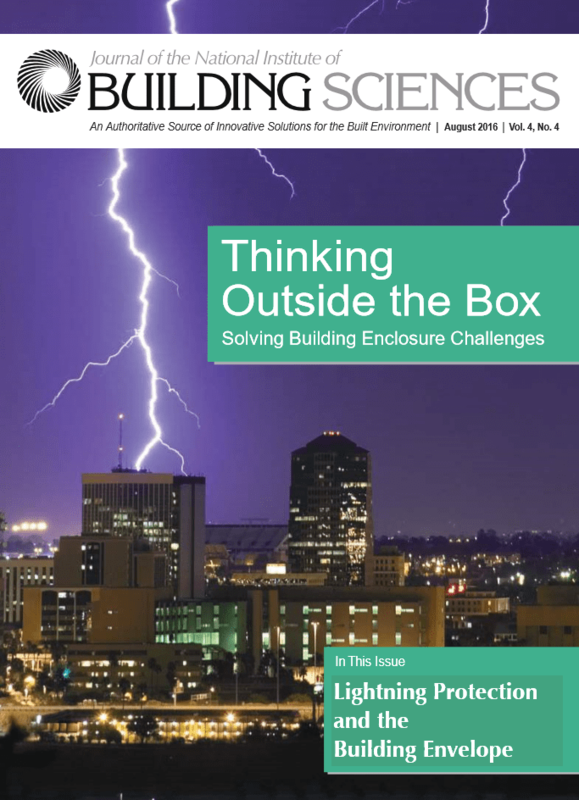 This simplifies construction and reduces cost. 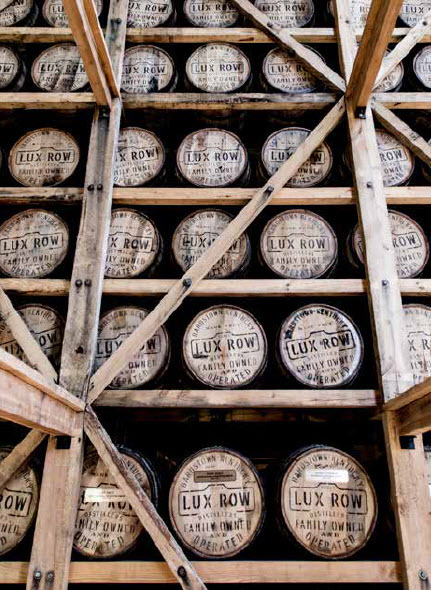 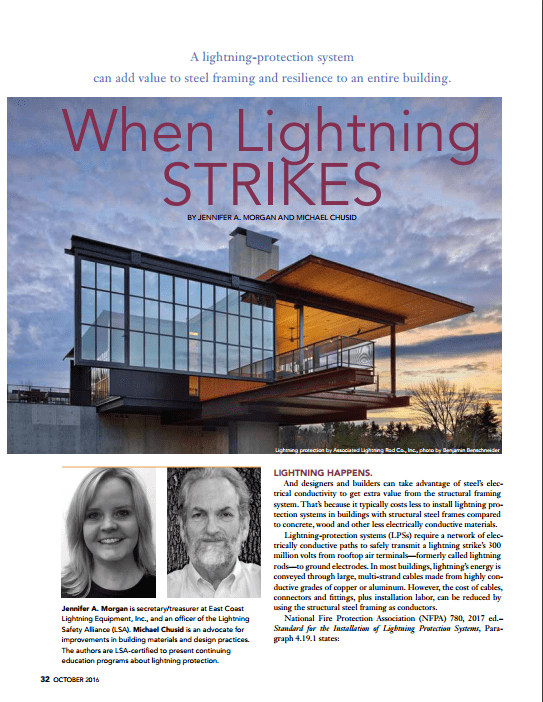 With a lightning protection system, a cross laminated timber or other heavy timber building could well be safer than a steel or concrete building without lightning protection. 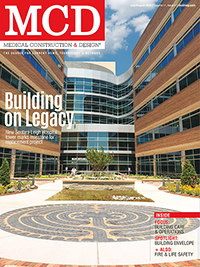 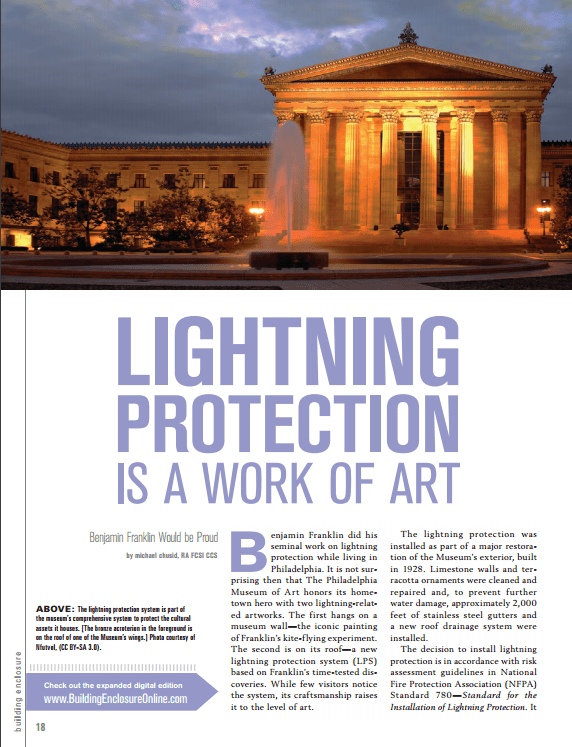 Scientific advances improve lightning protection for mission critical facilities. 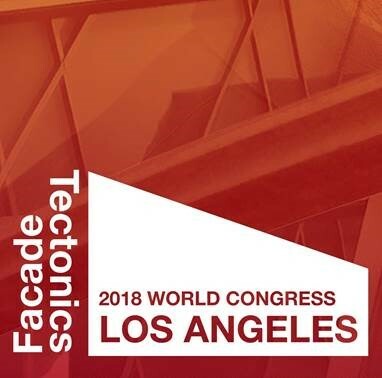 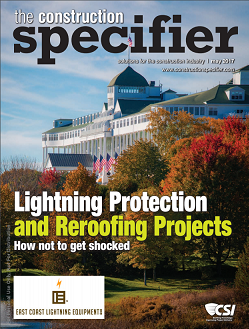 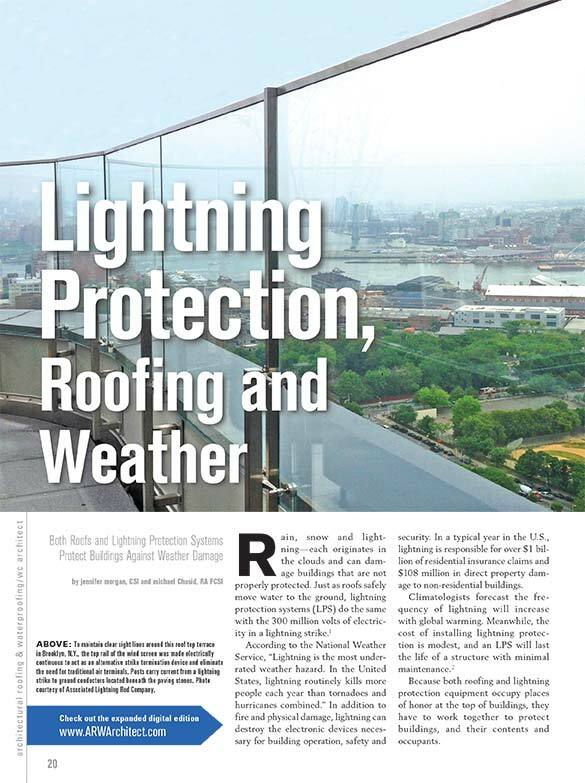 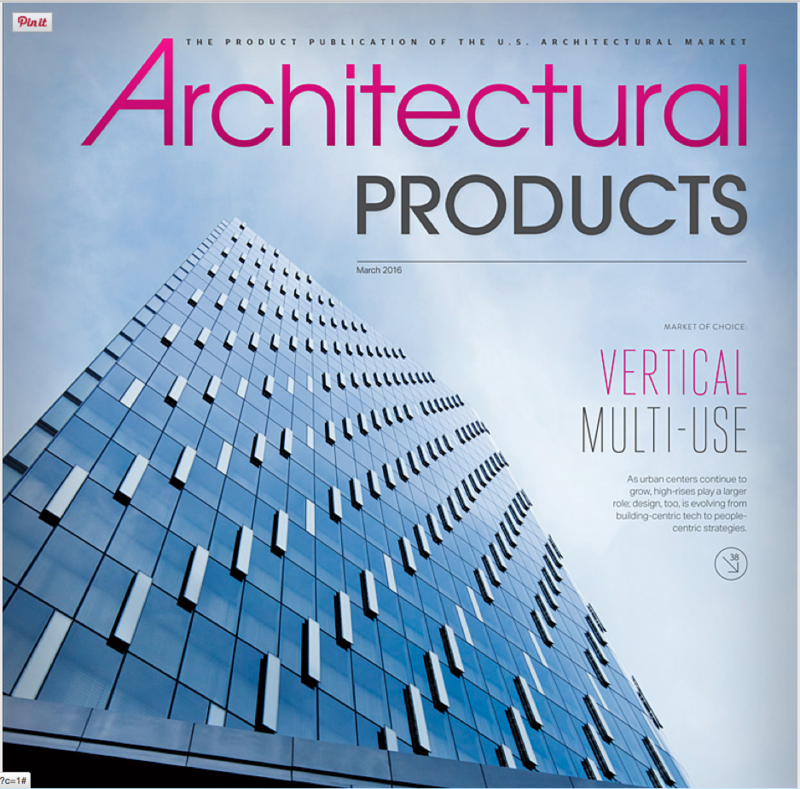 After explaining fundamentals of lightning protection, this article provides best practices for coordinating lightning protection with architectural design. 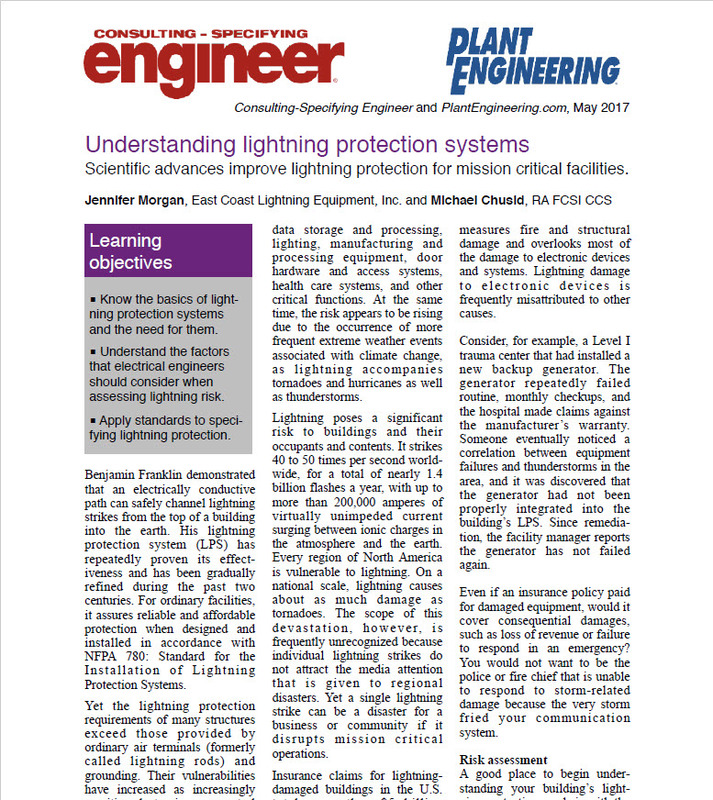 This white paper provides for a good overview of lightning protection systems. 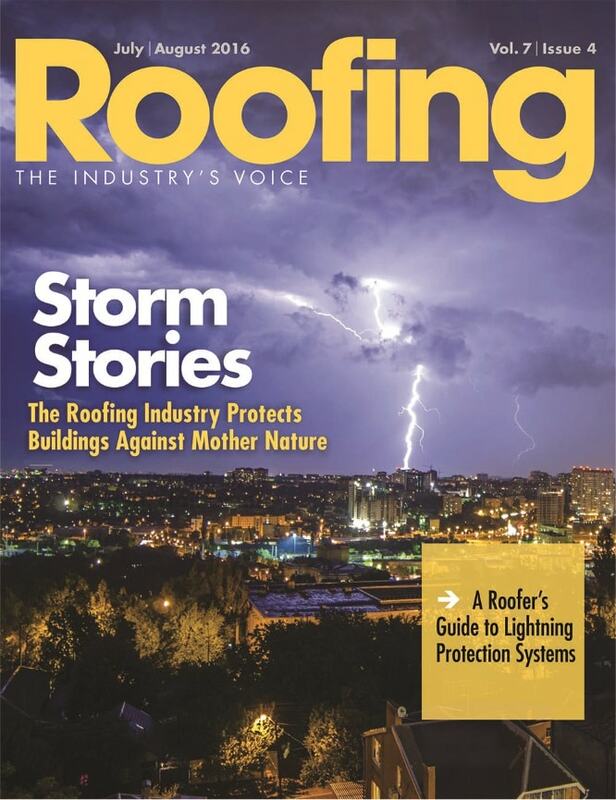 Your roof is not only a weather barrier, it is a work platform for lightning-protection installers. 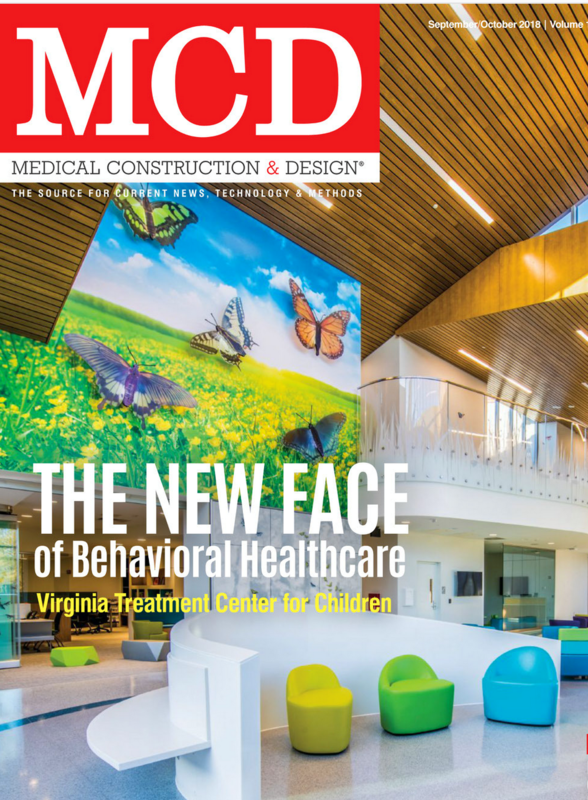 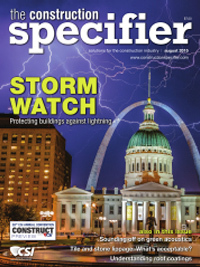 The article explains how to simplify job-site coordination. 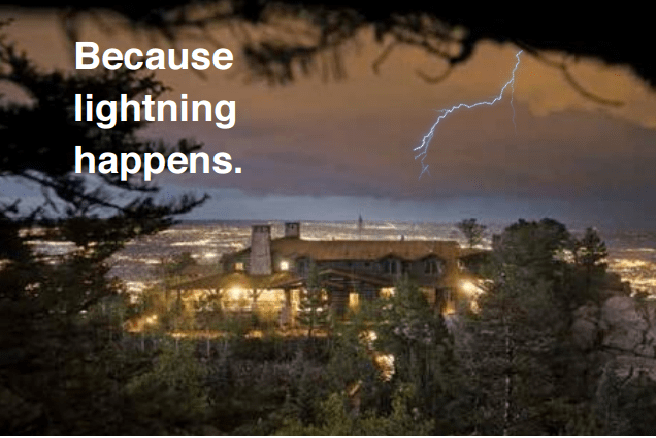 “Lightning is the most frequent weather-related disaster” in Canada. 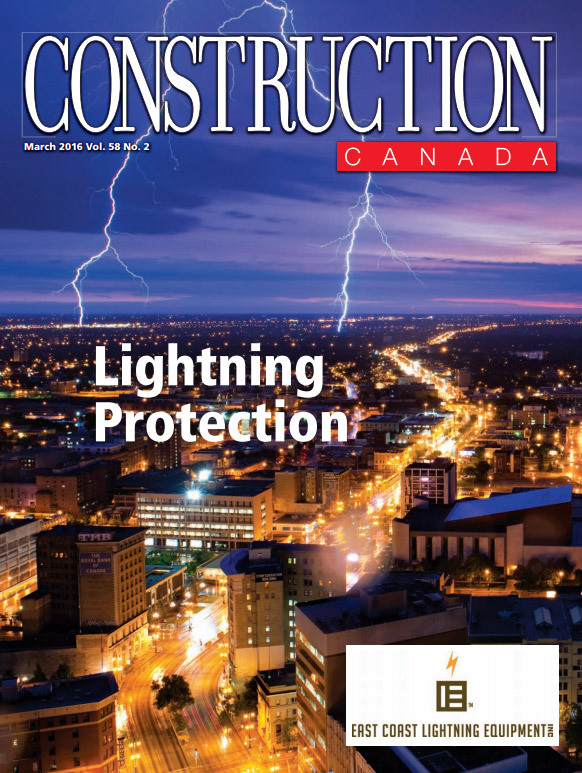 The article explains Canadian best practices for lightning protection. 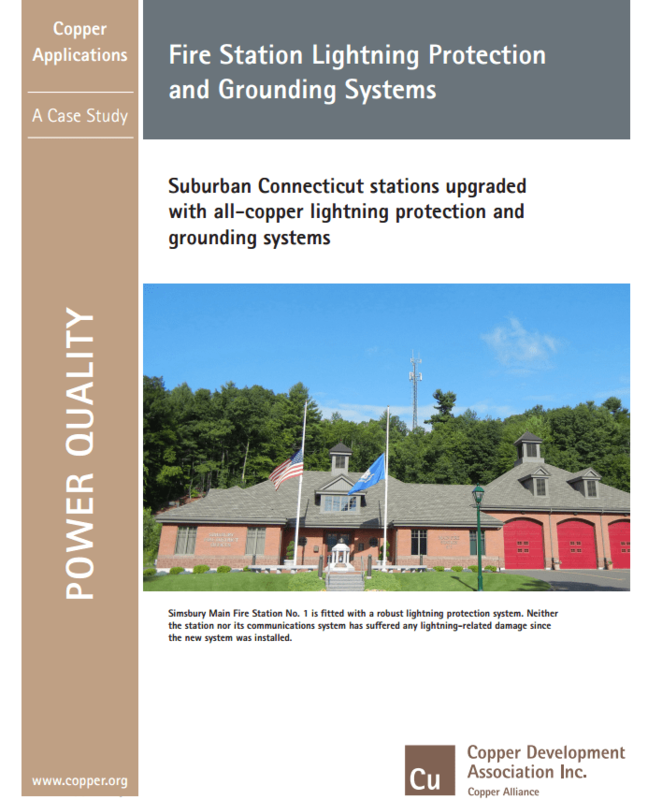 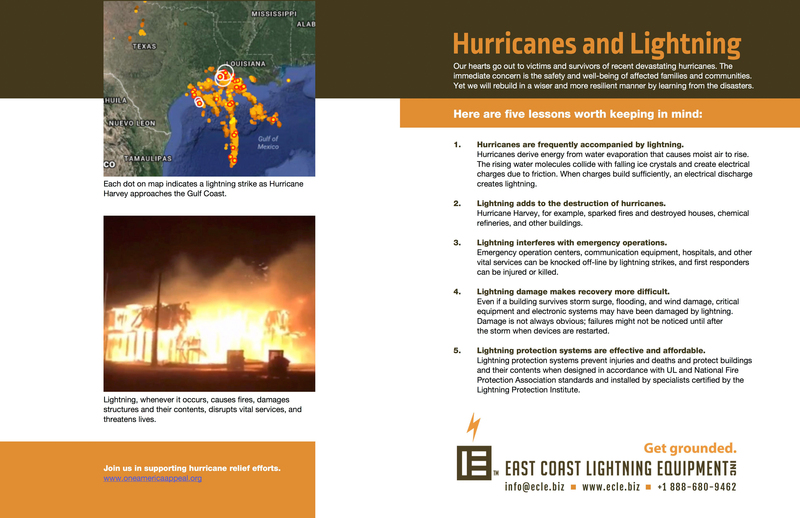 Two case studies demonstrated how lightning protection assure fire stations will be ready for weather-related and other emergencies. 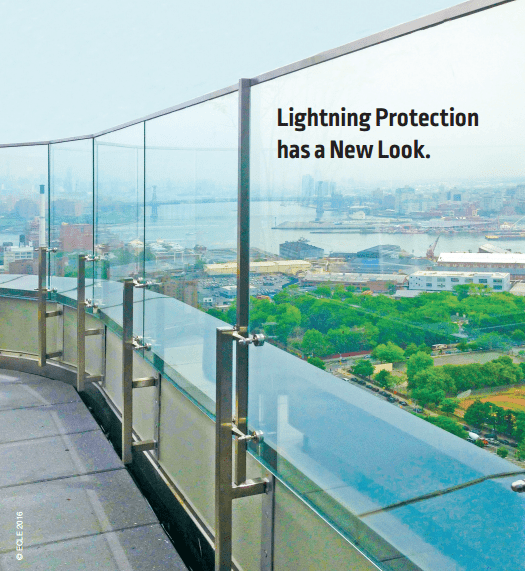 High-performance building enclosures must protect against wind, blast, fire, heat, moisture… and lightning. 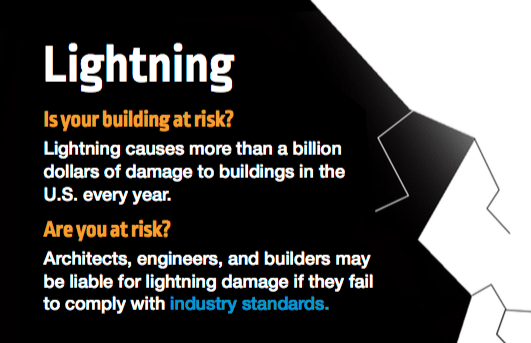 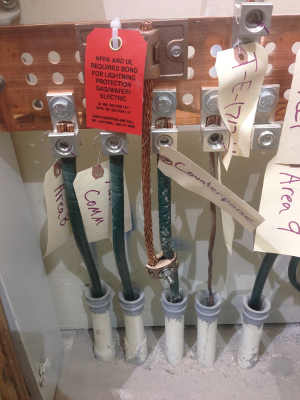 Corrugated stainless steel tubing (CSST) creates fire and explosion hazards when exposed to lightning. 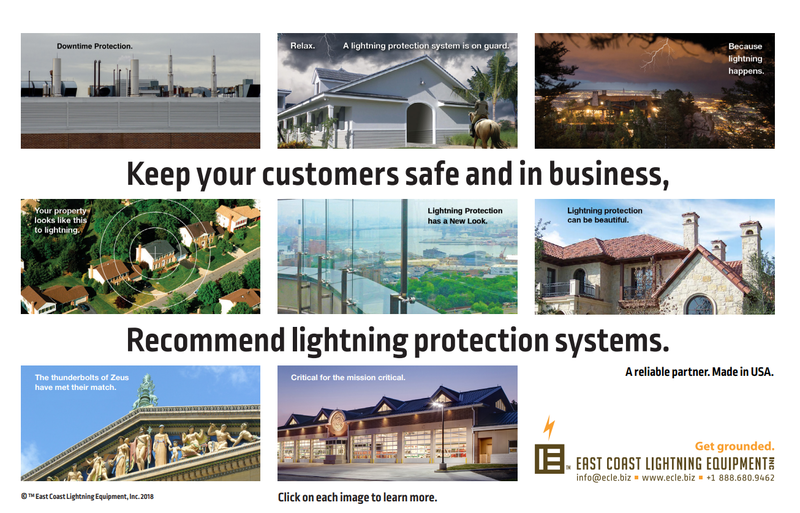 Protect the sensitive electronics that now control vital security, climate control, data storage and processing, equipment, access systems, health care systems, and other critical functions.